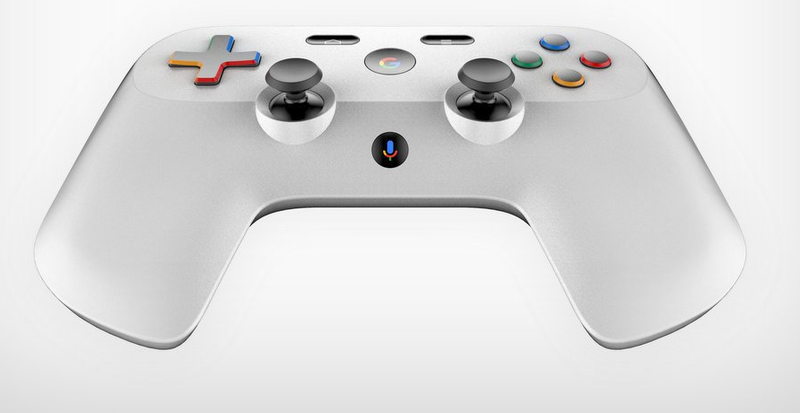 Prior to GDC, there was another mockup of a potential Google Stadia controller going around, inspired by patent documents from last year. 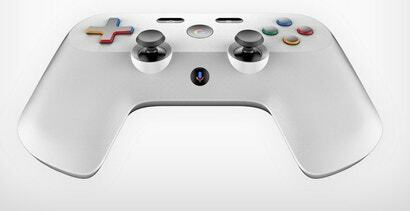 It looked like a Switch Pro controller but with weird angles and harsh edges, as though it had been carved out of a space rock. 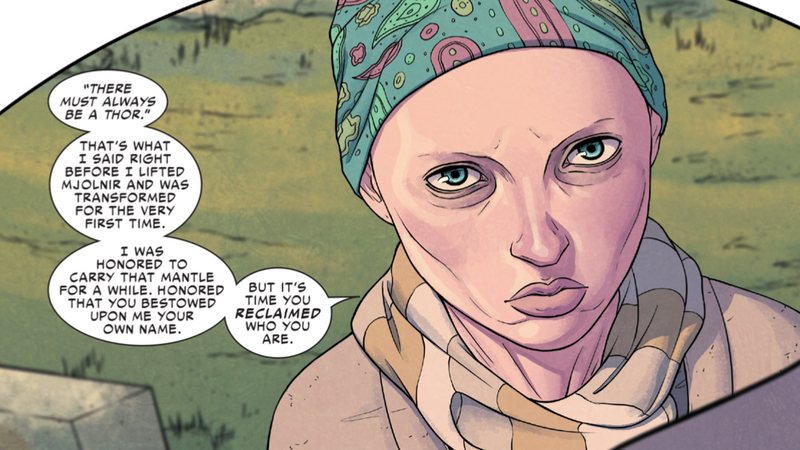 Cheung’s is even stranger looking, though. It sort of like a section of PVC piping with analogue sticks glued to it, but angles they’re at and the relative sizes of the sticks suggest some interesting possibilities. The disc that would go under your left thumb might combine the functions of an analogue stick with the kind of haptic feedback used on Valve’s Steam controller. On the Steam controller, that smooth pad can simulate the use of a trackpad for PC games that have a cursor, something analogue sticks alone don’t do well. Although Cheung’s hybrid pad-and-stick approach looks unnatural, it’s an interesting solution to a longstanding problem. 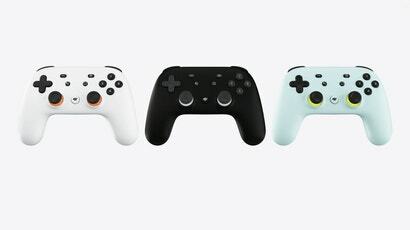 The trigger and shoulder buttons are more conventional, with shapes, sizes and placement similar to what you’d see on the Dualshock 4 and Xbox One controllers. Meanwhile, the Google Assistant and other options buttons are placed on the inside, which seems completely impractical but looks cool. 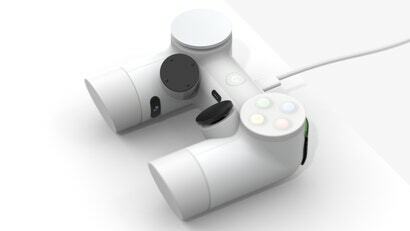 As Cheung noted on his website, the overall look of the controller was inspired by the conical shapes of Google’s other products, namely the Google Home and Home Mini. Cheung’s stab at modern gaming might border on the absurd, but it’s a good reminder that few designs are eternal. Who knows how people will prefer to play games in another five or 10 years. 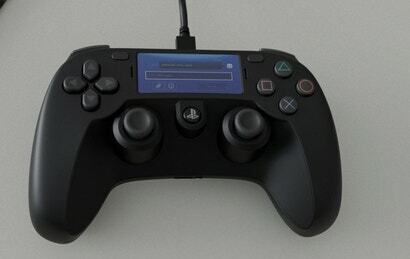 A few days ago a mockup for the PS5 controller began making the rounds on social media. It blew people’s minds because it included an LCD screen built into the centre, but otherwise it was an extremely conventional looking device with a few flourishes to help distinguish it from the existing Dualshock controllers. The screen was a neat touch, reminiscent of the old Dreamcast controller, but I think mockups such as Cheung’s are a good reminder to go even bolder. Who knows, maybe when Nintendo launches its redesigns for the Switch later this year it’ll roll out a new set of Joy-Con with haptic pads that have 4K rumble and a trackball lodged in the back of one of them. I mean, at least the left analog stick is in the right spot. As a rule of thumb I never believe any of the mockups or leaks for PlayStation or Xbox unless they are posted officially. How make a DIY a controller from common plumbing supplies. Google announces the modular PVC pipe gaming collection.